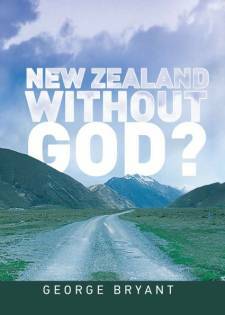 God is gradually but surely disappearing from the New Zealand social scene in favour of secular, neo-pagan beliefs and practices. If we project present statistical trends Christianity will be only a small rump by the middle of the 21st century. Yet New Zealand society has been influenced considerably by Christian values throughout its history. What would happen to our society if Christian values were wiped out? How would we live? Would secular atheism rule, or Buddhism or Islam or what? In this unique book George Bryant makes a plea for a renewed, better society based on a set of six core values, values with which all social groups could agree. They provide the key to developing a ‘good society’. What we need is the collective will to implement them. Is the way forward, however, to try and save true Christianity from itself? For the sake of our future every Kiwi should read this book. A landmark book which asks the questions we tend to shy away from. It’s a wake-up call, a briefing on the forces of change at work in our society and a guide to a practical response. This book audits the state of the nation, backed up with a wealth of factual evidence, traces the downward trends, suggests the reasons and makes many positive recommendations for the future. Five star plus reading.